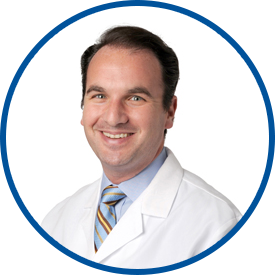 Dr. Judd Boczko practices general urology but subspecializes in minimally invasive procedures. His practice includes the treatment of prostate disease, urologic cancers, kidney stones and female urology. He is fellowship-trained in robotic, laparoscopic and minimally-invasive surgery. He has been chosen for New York Magazine’s “Best Doctors” issue in 2012, 2013, 2014, 2015, 2016, 2017 and 2018 and for Westchester Magazine “Top Doctors” issue in 2012, 2013, 2014, 2015, 2016 and 2017. He is also listed as one of “America’s Top Urologists” by the Consumer Research Council of America. Dr. Boczko has both teaching and lecturing experience. He has published research in the field of urology. His published articles have focused on all aspects of urology, including key publications on robotic and open prostatectomy, BPH, laparoscopy and endourology. Dr. Boczko has presented multiple papers and videos at national and international conferences and has garnered several honors and awards for his work. He is an assistant clinical professor of urology at New York Medical College. His professional society memberships include American Urological Association, Society of Laparoscopic Surgeons and the Society of Endourology. He is also a reviewer for the Journal of Endourology and European Urology. *Dr. Boczko is an extremely competent doctor and I have full confidence in him. We don't spend time on friendly chit chat. i would recommend Dr. Boczko to anyone. To me Westmed mean Family from the janitor to doctors everybody smile and say hi. *Dr. Boczko has the highest level of compassion, professionalism, and communication skills. I would absolutely recommend Dr. Boczko with confidence to anyone. He is caring, listened carefully and patiently to our concerns, explained everything in a way to make sure we would understand. Very, very nice Dr. Thank you!! !